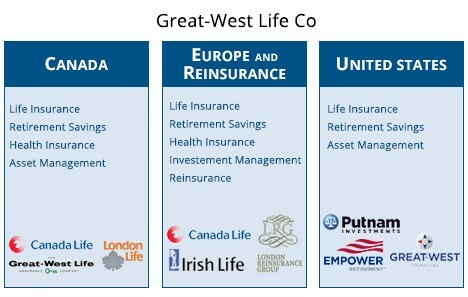 Great-West Life is a multi-line global financial services company with operations in Europe and North America and a global workforce of about 22,000 employees. Great-West Life embarked on an Innovation Management Journey and a business transformation initiative to plan, select, and deploy a corporate-wide innovation management system built on the Microsoft Azure cloud platform. When the innovation team started to look for a partner, “We didn’t know what we didn’t know,” said Ben Harrison, VP of Innovation at Great-West Life. From a financial standpoint, Great-West Life looked at the innovation management offerings by large software companies, and found that the big names come with big price tags. Therefore, being able to find a solution that fit within the company’s budget was also an important factor in selecting Planbox. Great-West Life Innovation Management Journey and the work they have done is a part of a broader movement and transformation for the organization going from a very product-focused company that looks at developing new offerings, distributing them to advisors and then, in turn, advisors distributing these to clients. The focus is very much now around the customer, understanding customers in ways that the company has not before and the vision is to put customers at the center of what the company does. This really helped the company start its path along the innovation journey. “One of the main goals that we identified is market-leading customer satisfaction, advisor satisfaction, and where we see the Planbox solution play is really around the employee engagement piece. We cannot expect to grow and achieve success with customers and advisors in the market if we’re not first delivering a really great employee experience and engaging employees in this journey,” Harrison said. Great-West Life views innovation broadly in three main buckets: core, adjacent, and transformational. “I lead our innovation practice internally. Our focus is around the adjacent to transformational innovation, so looking at really big growth opportunities for the company, which the Planbox ideation tool absolutely plays an important role,” Harrison said. Core innovation is critical to an organization of Great-West Life’s size. While the company may find some success in more ambitious areas, it will be challenged unless it can quickly and effectively create new and useful offerings within the core of its business. That was the main driver in seeking a partner that can help Great-West Life continue to improve and innovate around its core offering. Great-West Life has adopted a crawl/walk/run approach to ideation. 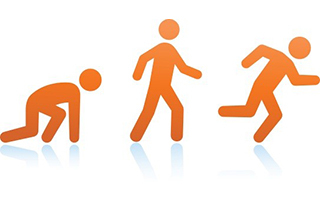 The innovation program has not reached the running stage yet. The initiative launched by running a couple of challenges to their employee base; either on the whole or within specific segments of the business to get people familiar with how the application works, what it looks like, and how to engage with the tool. This started early in 2016 and the company is finishing its sixth challenge within the organization and starting to build up innovation management capability internally to get to the point where business units become more self-sufficient and effective, to the point that the innovation management team can start to be more ambitious with the types of challenges they want to run. The company is planning to run a shark tank type challenge with its employees to identify more high value opportunities in 2017. Great-West Life’s Innovation Management Journey started by running a simple “name the tool challenge” for all 13,000 employees in Canada that was about getting people familiar with the system and how it works. The team started to run individual challenges within business units on a smaller scale. The key theme amongst those challenges was around what should “we stop doing.” The company was looking to get some feedback. The intent was not to find the next billion-dollar idea but to look for employees to identify things that waste time, energy, and money. Total users that were engaged in this process was almost 3,500 of Great-West Life employees for an engagement of about 25%. Those numbers have varied by challenge. There has been higher uptake within the business unit challenges specifically, which is considered a good sign, and the team is learning what works as the company plans a broader scale and larger initiatives for 2017 with the entire organization. • 2,000 people vote on ideas so when ideas are submitted there’s an opportunity for people to vote up or down on them. Ultimately the number of ideas that Great-West Life has been able to implement from each of the challenges is an important measure of success. One of the things the innovation team is very mindful of is in getting the business involved with these challenges and making sure that they are in a position to actually do something with the ideas and benefit from the tool. One of the benefits of the ideation tool for Great West has been that it simplified what was historically been a paper-based manual process within the organization. That has helped a tremendous amount just to get the process started, to get leaders to buy in, and to go through the process to get ideas identified. Ultimately you can do that amazingly well with an innovation management tool. But if you don’t actually do anything with the ideas then you’re going to quickly lose employee interest and ultimately employee engagement. Therefore, the innovation team has been very mindful when working with the business units to make sure that there are resources and people available to help implement any actionable solutions.